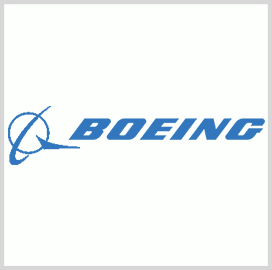 Boeing (NYSE: BA) has won a potential seven-year, $383.4M contract from the U.S. Air Force to provide tactical warfighters with a joint ground platform designed to deliver anti-jam satellite communications capabilities. The service received three proposals for the cost-plus-incentive-fee contract in support of the Protected Tactical Enterprise Service program, the Defense Department said Monday. PTES offers joint hubs to deliver communications services through Wideband Global Satcom satellites and includes a key loading and initialization facility, key management system and a mission management system, according to the statement of work. The scope of work includes PTES system design; PTES segment initial operational capability development; system full operational capability development; joint hub FOC; joint hub with end cryptographic unit installation and deployment; initial spares; additional training and documentation requirements; and special studies. The Space and Missile Systems Center will obligate $17.2M in research, development, test and evaluation funds for fiscal years 2018 and 2019 at the time of award. Work will occur in El Segundo, Calif., through Dec. 31, 2025.